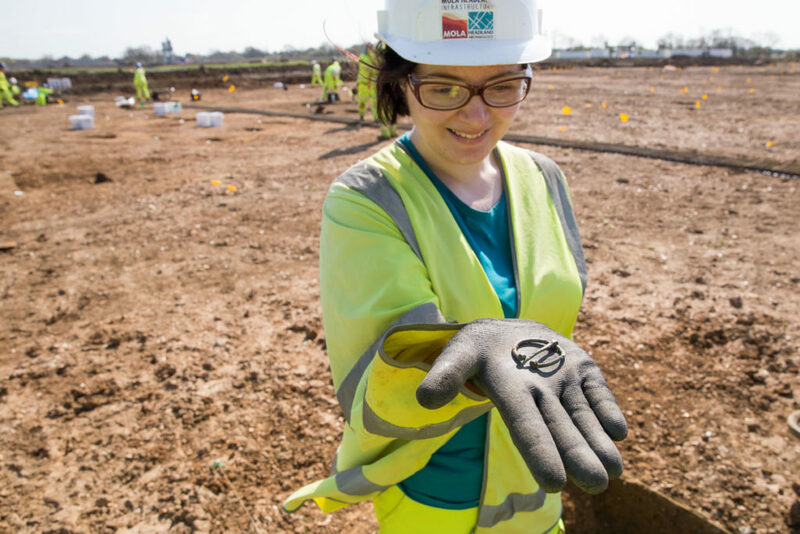 Excavation on one of the UK’s largest ever archaeological projects is nearing completion; Highways England’s A14 Cambridge to Huntingdon improvement scheme. Our archaeologists are starting to pull the results of this enormous project together and interpret their findings, spanning 6000 years of history. 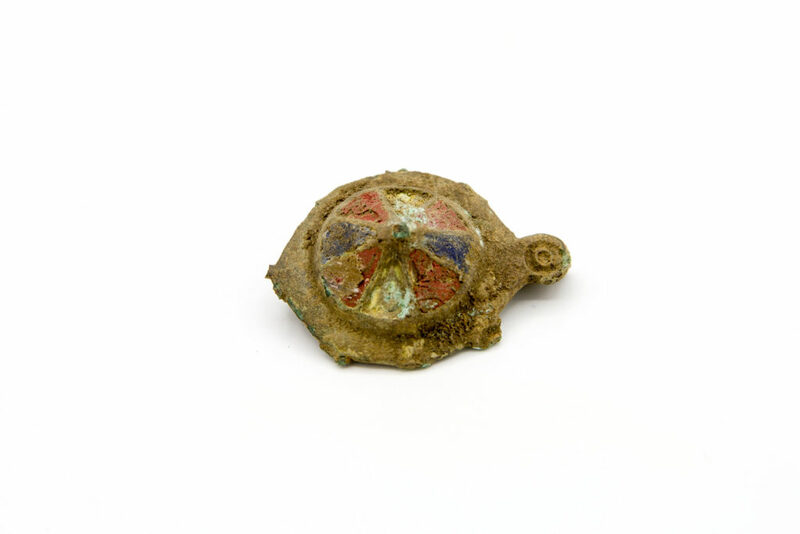 The archaeological evidence for the Roman period is proving to be particularly illuminating, with extensive new evidence for trade networks and production centres, the remains of a possible large scale temporary military marching camp and some unusual burials. 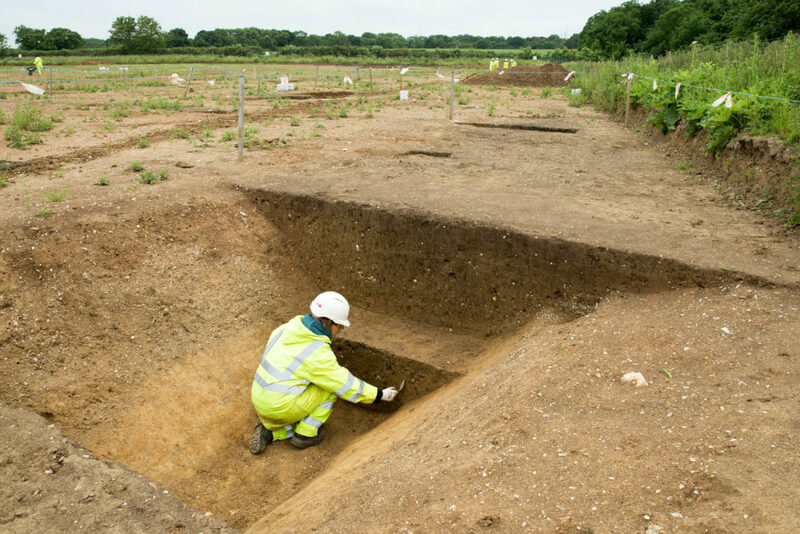 A huge Roman ditch, measuring roughly 3 metres wide and 1.5 metres deep has also been discovered. The intriguing feature would have formed a significant and large boundary, especially considering it likely had a raised bank beside it. Evidence for domestic Roman buildings and industrial activity is contained within the enclosed area within the ditch, but the sheer size and defensive nature of the ditch suggests that it might not relate to the settlement directly. 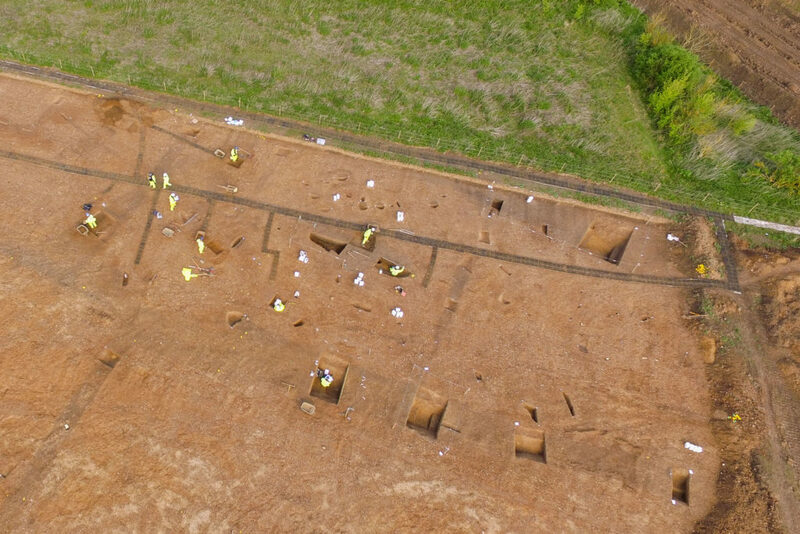 Instead, archaeologists are exploring the theory that it may in fact be the remains of an earlier and very large temporary Roman military camp. 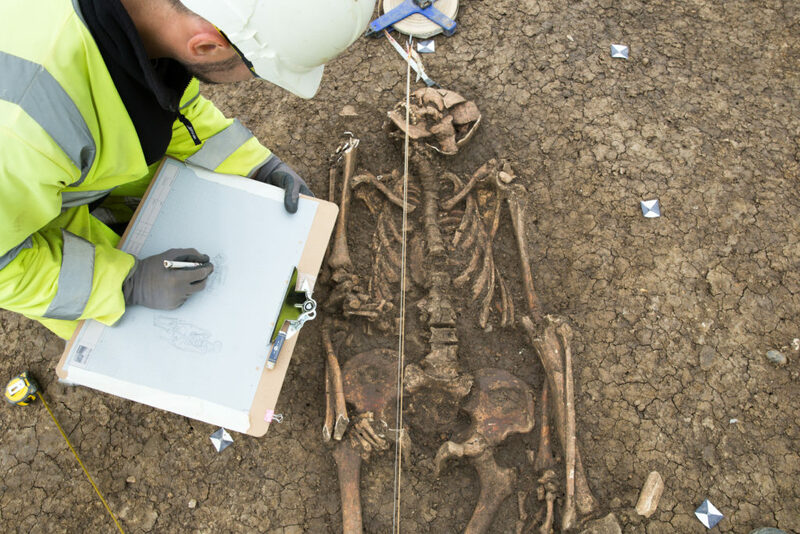 A pair of unusual burials, Roman or perhaps later in date, were recently discovered by archaeologists. 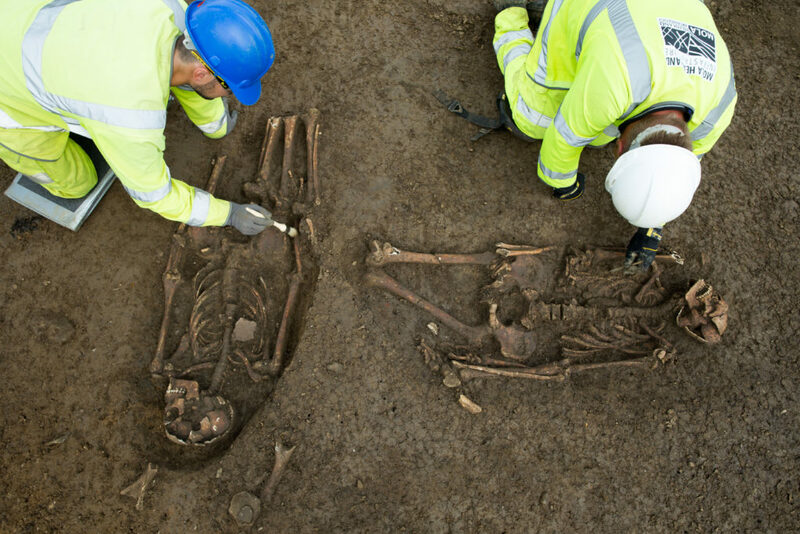 Placed in a T-shape, the lower legs of both individuals have been repositioned within their graves. It is possible that the legs were relocated whilst they were still partially fleshed. Detailed analysis of the remains is required to discover more about the circumstances of the burial and to further understand how the bones have come to be out of place. It is possible that the individuals were victims of violence; alternatively the bones may have been repositioned following a natural death and may reflect burial practices carried out as part of the funerary process. 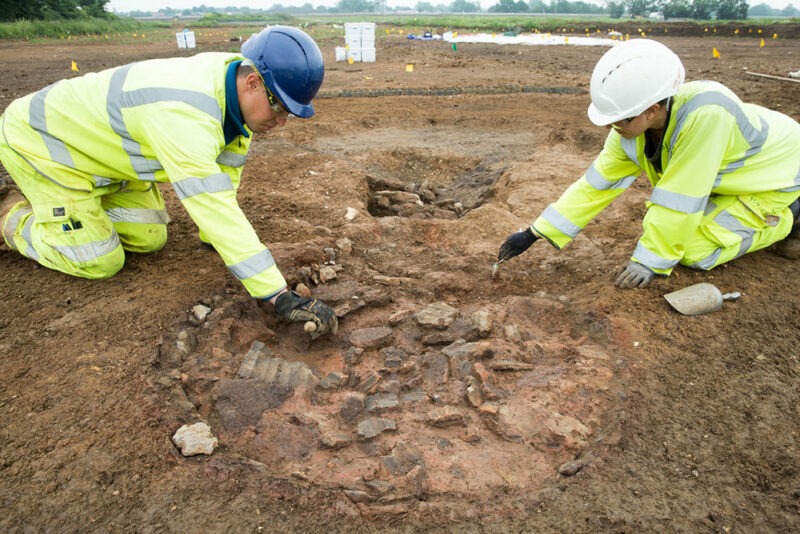 So far archaeologists have uncovered 40 (with more being found) early Roman pottery kilns. Although it was hoped that some evidence for pottery production would be found, discoveries on this scale were not anticipated. 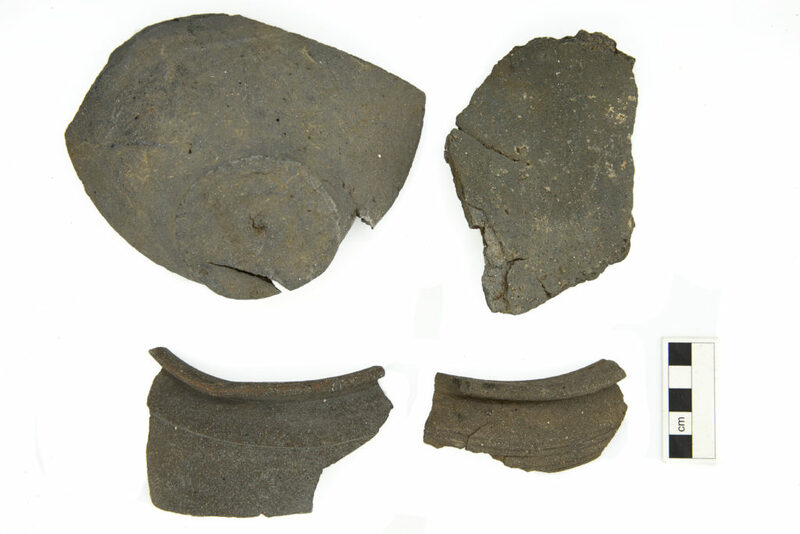 The findings are greatly increasing understanding of Roman pottery forms and production in Cambridgeshire and beyond. The kilns demonstrate how the local production of Roman pottery was established and developed over a couple of centuries. Trial and error with the technology and techniques is evident in the kiln designs and the pottery produced. 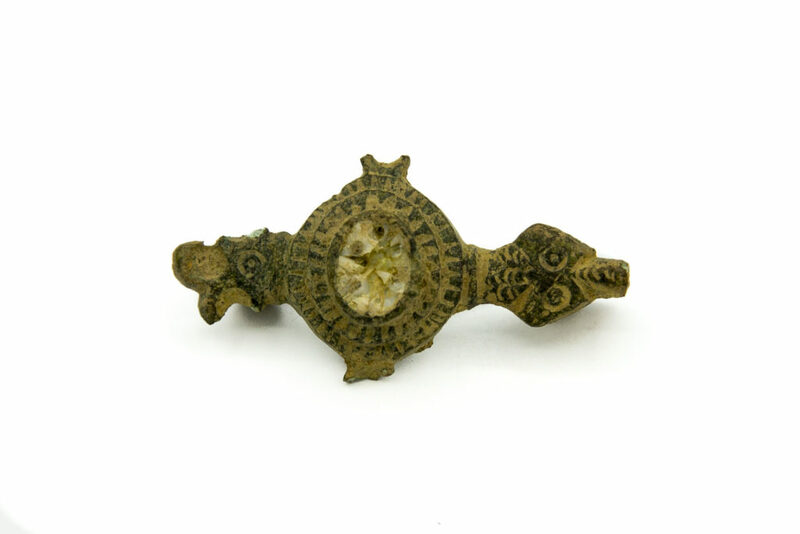 Tonnes of pottery fragments have been recovered from the A14C2H. 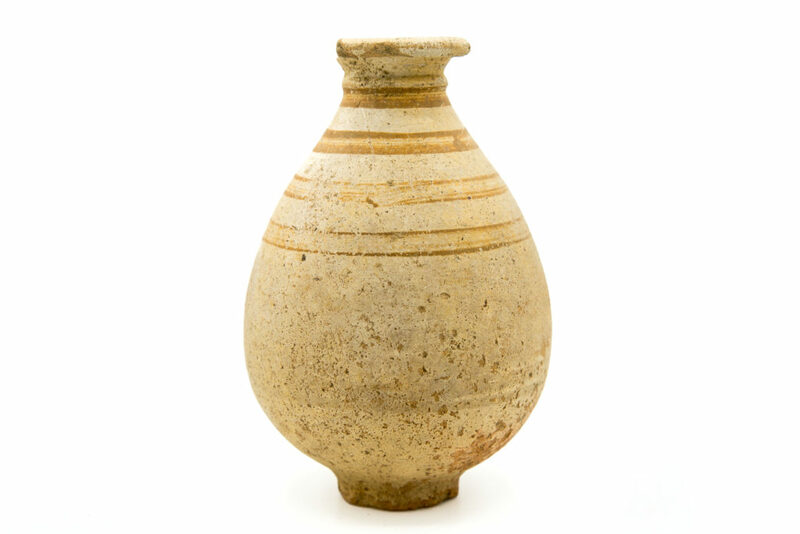 This domestic pottery, largely consisting of fragments of jars, was used every day by the people of Cambridgeshire.